Soon, on February 22, the teams will play their last games of the KHL regular season, and the playoffs pairs will be formalized. The Gagarin Cup will start on February 25. This season, KHL.ru will start a column where the most memorable playoffs series will be celebrated. Let’s start from the clashes that became real sensations. Among the starring of these sensations, we find SKA, Sibir, and Dinamo Riga. The latest two teams managed to get the best of top teams two seasons in a row. This year, no one would call a win by Avangard over Salavat Yulaev a surprise. Should these series become a reality, the team led by Bob Hartley would be certainly picked as the probable winner. However, ten years ago everything was different. The Ufa team was the last Russian Superleague winner and smoothly played the first-ever KHL regular season, finishing on the top of the standings. It was a rocky period for Avangard. Other than routine hockey problems, the city and the team were still mourning the loss of Alexei Cherepanov. All things considered, even getting to the playoffs was considered a success for Avangard, even if they could boast the presence of the great Jaromir Jagr in the lineup. But all this had to happen so that the 16th team in the standings knocked out the first! Salavat understood since the first game that the series against Omsk would not be a walk in the park. The team led by the late head coach Sergei Mikhalyov won, but only during the OT, asking a lot to their fans and personnel’s nerves. The next day, the goalie Evgeny Tsaregorodtsev had the game of his life and didn’t allow Ufa to score. The shootout was a one-man show by Jakub Klepis, at those times at the peak of his career and one of the best players in the League in this situation. At the time, teams only had to win three times to secure their path to the second round, and Avangard decided to take the initiative. In the third game, yet another OT goal by Klepis gave Omsk a fantastic home win, just to complete the sensation in the next match winning with a 4:1 score. It is hard to remember the moment when SKA became a formidable force in Russian hockey. At the turn of the century, the team was a donor for the mighty Severstal (yes, there were such times! ), but after almost 20 years, 70,000 spectators gathered for a hockey game in St. Petersburg played at a football stadium. Somewhere in the middle of this path, the Petersburg Army team got a substantial budget and far-reaching ambitions. But to call the starting point of painful setbacks, through which SKA passed before finally raising the Gagarin Cup, is not difficult. The first to break SKA’s hopes in the playoffs was Spartak, in 2009 Spring. But then, SKA didn’t feature in their lineup stars like Sergei Zubov and Alexei Yashin. By the way, SKA managed to top the Western Conference only the year after the fiasco in the series against Spartak. It is difficult to say which defeat was more of a sensation: the one by Spartak, when SKA was relying almost on Maxim Sushinsky alone and was only the fifth seed in the regular season, or the one by Dinamo Riga. On the series with the Latvian team, the club from St. Petersburg was a full-fledged monster. But already the first game brought significant disappointment to the northern capital: the famed line Sushinsky – Cajanek – Yashin failed to get the best of goalie Edgars Masalskis, and a superb shot by Mikelis Redlihs decided the outcome of the match. The next day story repeated, with the only difference that Barry Smith’s troops were able to grind out one goal. To create the main sensation of the season, Dinamo had to win one of two games scheduled at Arena Riga. The always-cheering Riga fans supported their beloved home team to a historic win at the second attempt. Again Riga, again a first-round sensation. At the dawn of the KHL, the capital of Latvia was not only a place of attraction for all marketing innovations but also the home of the League’s most rock-n-roll team. Julius Supler never gave the impression of a typical coach-motivator. Andrei Nazarov or Oleg Znarok, who the Slovak specialist defeated in the spring of 2010, are more suitable to this description. With his appearance of a kind grandfather, Supler defeated SKA one year before, and then he was set for the repeat against Dynamo. He was not at all worried that the rivals of Riga were an improved version of HC MVD, the finalist of the 2010 Gagarin Cup. After the first match, in which a goal by Leo Komarov was not enough for the hosts to win, the White-and-Blues thumped Riga with eight goals. Chris Simon posted a double, showing that he could use not only his iron fists. It seemed that everything fell back into place, but then the series returned to Riga, and it was a real shock - 1:5! The turning point was game four when Krisjanis Redlihs stunned the Muscovites with his OT GWG. 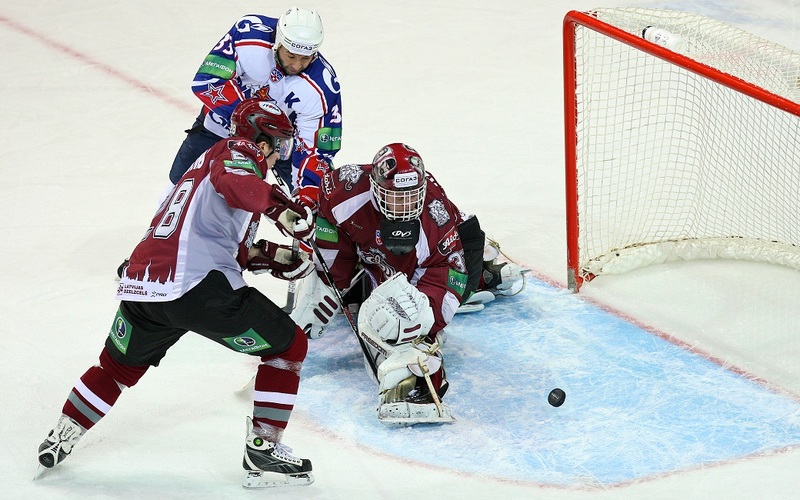 Znarok’s troops tried to revert the outcome of the series, and in another game, in Riga, the game was forced to the overtime. However, Lauris Darzins with a heroic effort won the game for Dinamo. Eight years later, Darzins represented Dinamo at the 2019 KHL All-Star Game. When SKA defeated Spartak in the first round, getting their revenge for the historical loss of two years earlier, it seemed that the Army team had removed the curse. 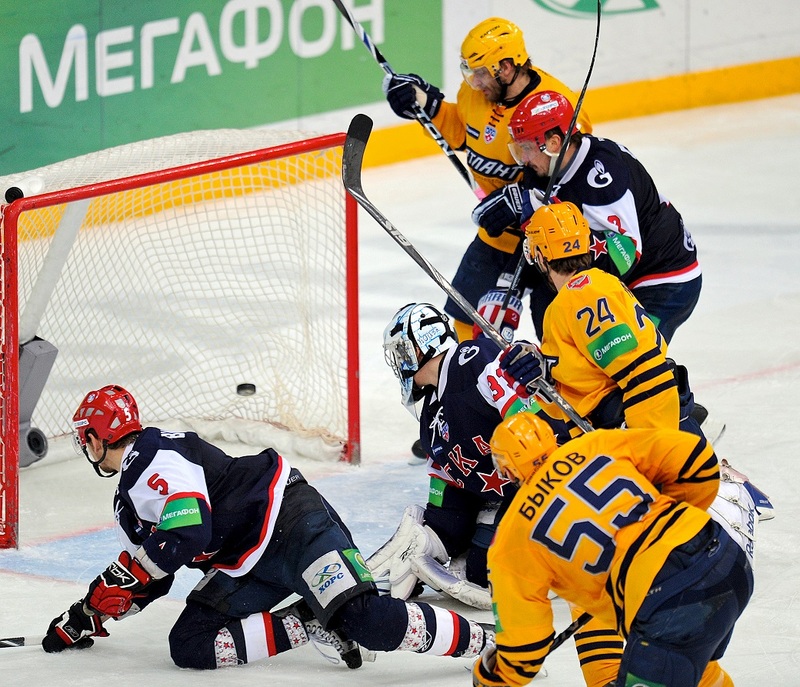 Finally, one of the leading contenders for the Gagarin Cup overcame the first-round barrier. But if someone thought that SKA had an easy path to the finals was terribly wrong. Once again, SKA had to face a team led by Milos Riha. But Atlant this time, not Spartak. In Mytishchi, the Czech coach had a better roster (does the name of Sergei Mozyakin ring a bell?) than in the Capital, and his trademark passion did not disappear. Riha is able to create aggressive teams who can defeat even the most-glamour teams. Already at the end of the first match, which ended with a victory by SKA with a score of 5:3, it became clear: the series will be long and hot. The feeling was confirmed when Atlant won the second game in St. Petersburg with a fantastic performance by the future Playoffs MVP, goalie Konstantin Barulin. However, when the teams returned to St. Petersburg, the score in the series was already 3-1 in favor of the Army team. SKA was at just one step from the conference finals, but they failed. Jan Marek was St. Petersburg’s worst opponent, and another Czech, Jakub Stepanek, faltered at the crucial moment of the season. 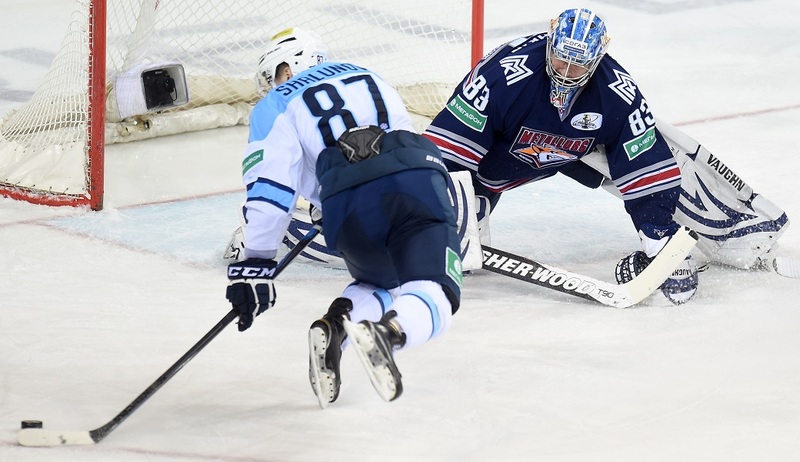 His mistake in the seventh game of the series allowed Atlant to tie the game up, and in overtime, Dmitry Bykov broke the hearts of St. Petersburg fans and their hope of winning the Gagarin Cup. Sibir worked hard for a long time to achieve this. Having appointed Dmitry Kvartalnov as head coach, the Novosibirsk team first defeated the neighbors from Omsk but lost to them in the seventh match of the first round, and the next year they defeated Ak Bars. In principle, the historic win over the then two-time Gagarin Cup champions could be included among the main surprises in the history of the KHL. But then, Kazan was led not by Zinetula Bilyaletdinov, employed by the Russian national team, but by his assistant Valery Belov. Ak Bars looked beatable, with all the due respect toward Sibir’s efforts. The same could not be said for Mike Keenan’s Metallurg, who in 2014 not only defeated Novosibirsk in the playoffs but was then crowned Gagarin Cup champions. One year later, the teams met again. Sibir was then led not by Kvartalnov, but by Andrey Skabelka, who replaced him in the offseason. There was one more difference: after winning their division, even in the second round of the Gagarin Cup, the Novosibirsk team had the home-rink advantage. They took full advantage of this, allowing Metallurg only one game, and that in Magnitogorsk. Skabelka managed to do the main thing – to neutralize the line Zaripov – Kovar – Mozyakin. It is impossible to turn them off from the game completely, but they managed to score only one even-strength goal in the entire series. The most dramatic moment of the series was the fourth match, which Sibir managed to win without Alexander Salak (suspended) and captain Alexei Kopeikin. After such a win, Sibir was in full swing.